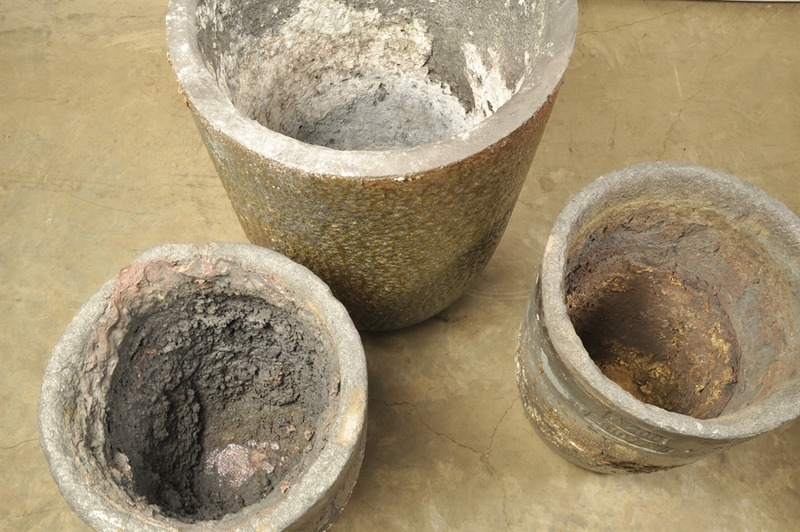 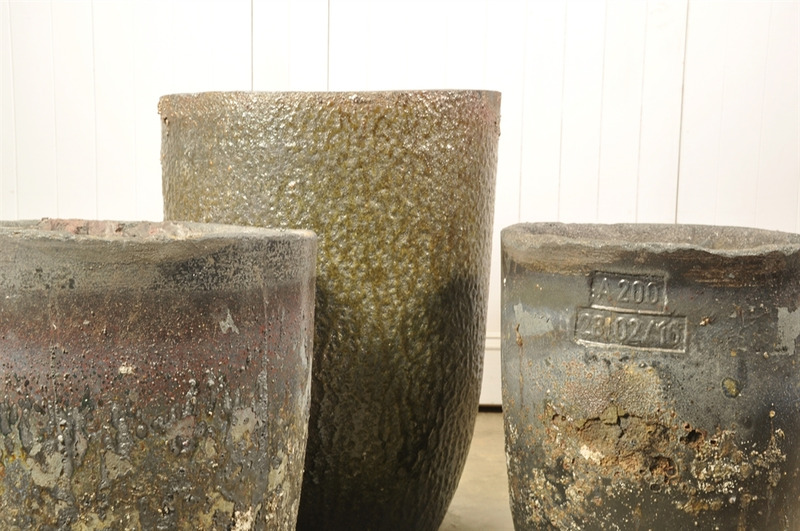 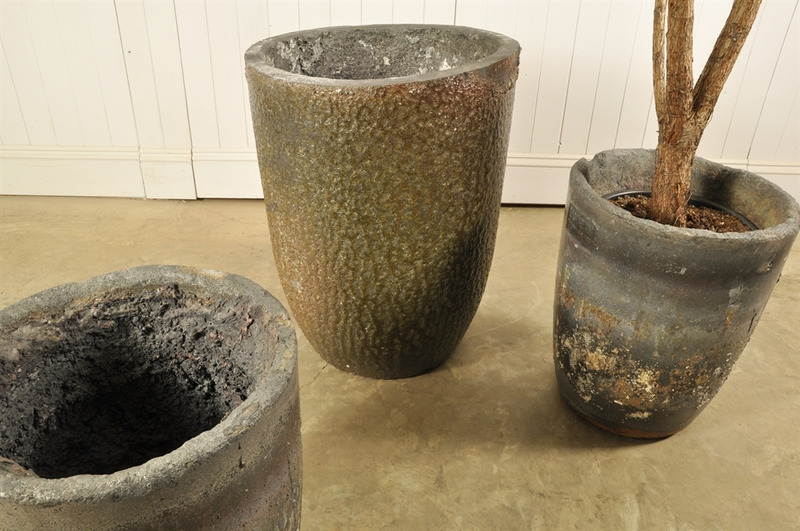 These mid century crucibles or smelting pots were manufactured in Germany but we sourced them from a foundry in France. 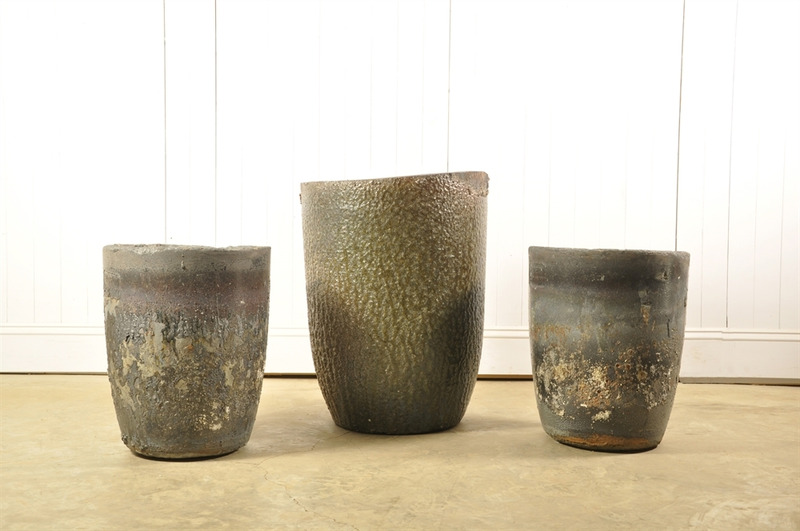 With these it is all about the patina - they are covered in a bubbled glaze of sorts and still retain some of the melted residues within. They are beautiful sculptural objects on their own accord but can also be used as planters and we are happy to drill a drainage hole if required. 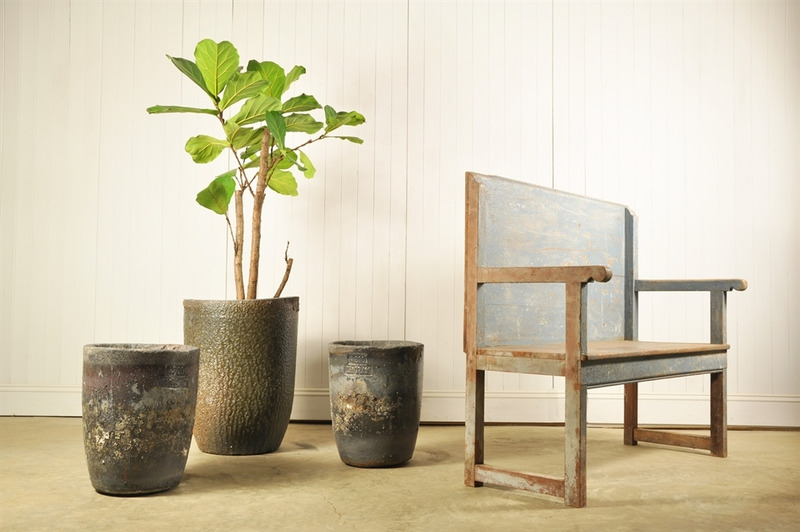 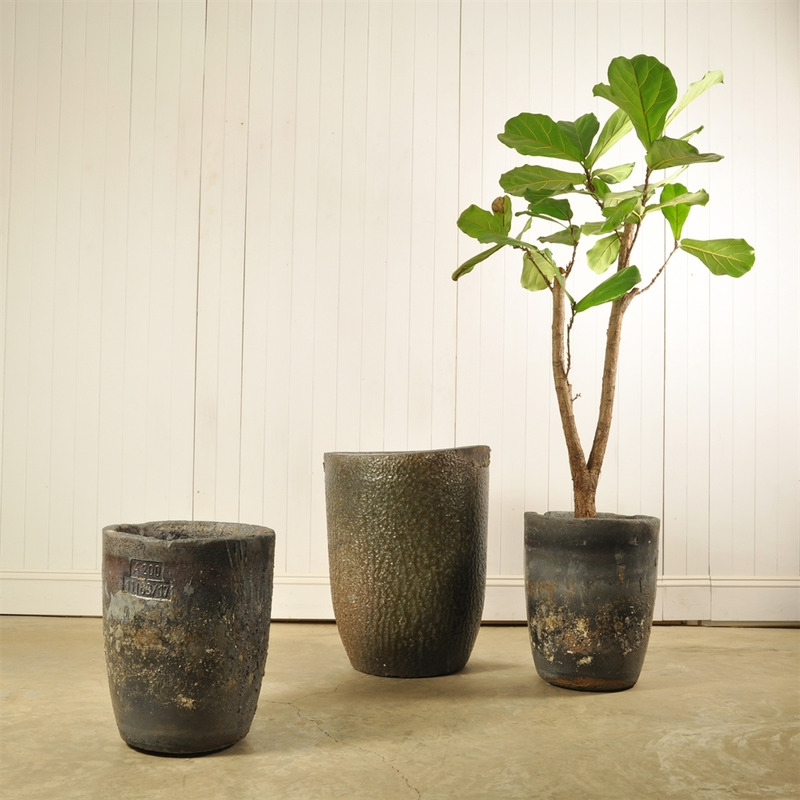 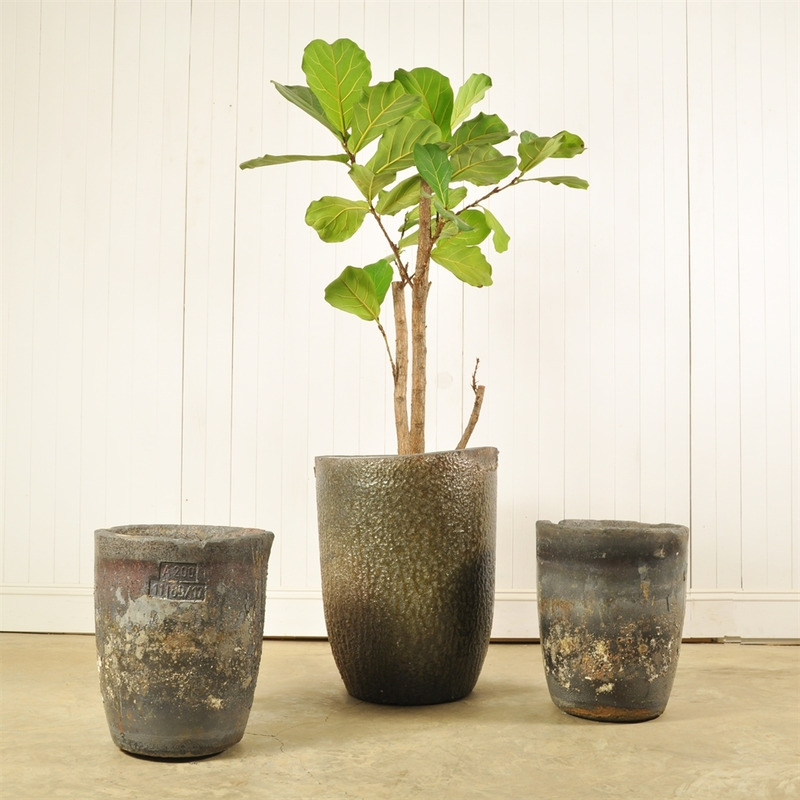 Bear in mind that these are very heavy industrial pieces and we would recommend if planning to use as a planter, having a plastic pot inside. 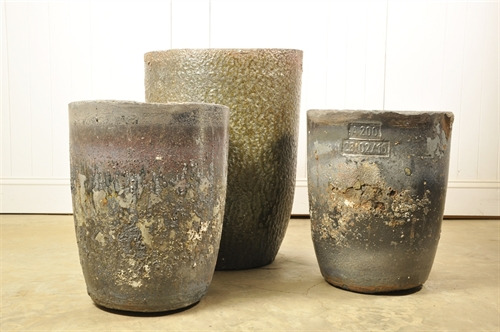 £ 295 each 50 cm h x 40 across. £ 340 68 cm h x 52 across.